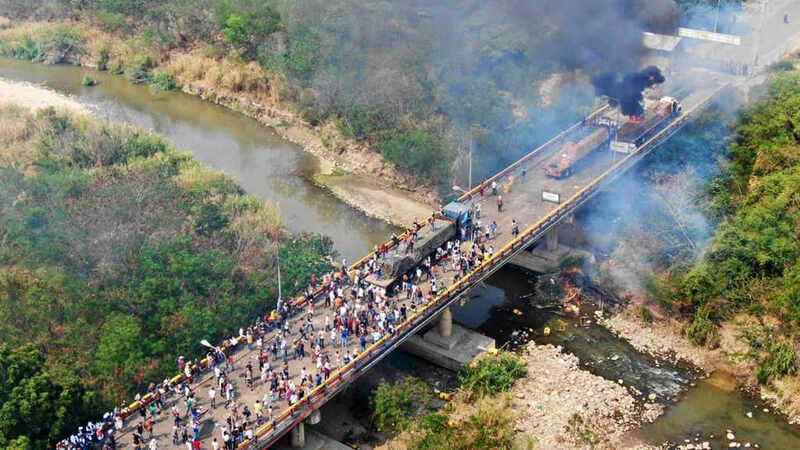 Venezuela severed diplomatic ties with Colombia in the wake of the violence along the border between the two countries. 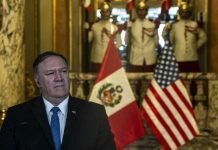 President Nicolas Maduro on Saturday also pledged to stop the aid from coming into Venezuela and called it a coup attempt by the opposition led by self-proclaimed president Juan Guaido, with the support of the United States and Colombia. “My patience has run out. I can’t continue to tolerate the aggressions against Venezuela that are being carried out by the Colombian government. We are severing diplomatic relations with Colombia,” CNN quoted Maduro as saying. 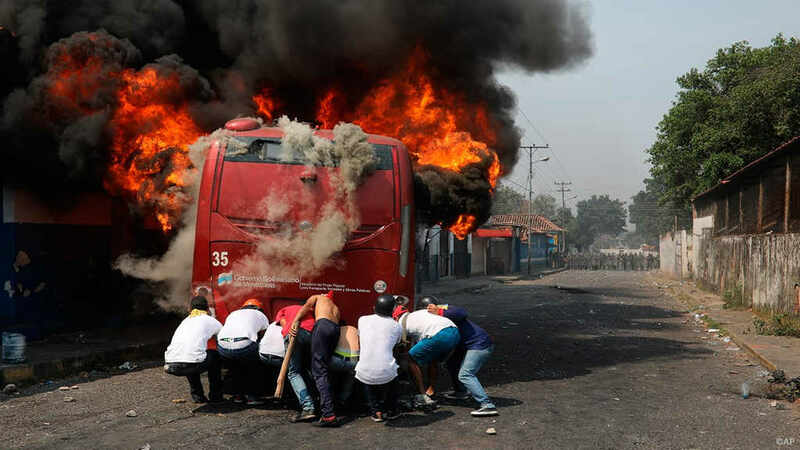 At least five people were killed in clashes with Venezuelan security forces on Saturday. National Assembly Representative Adriana Pichardo, who supports Guaido, said 51 people were arrested. 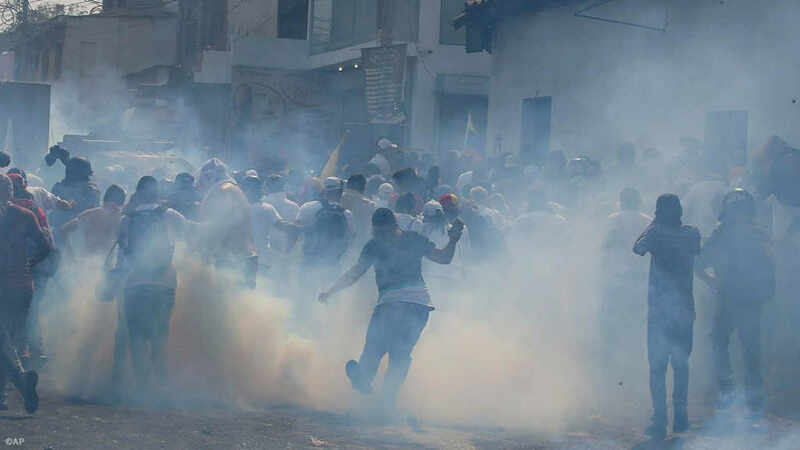 Colombia’s foreign ministry said 285 people were hurt, of which 37 required hospitalization after Venezuelan forces fired tear gas and rubber bullets at protesters. 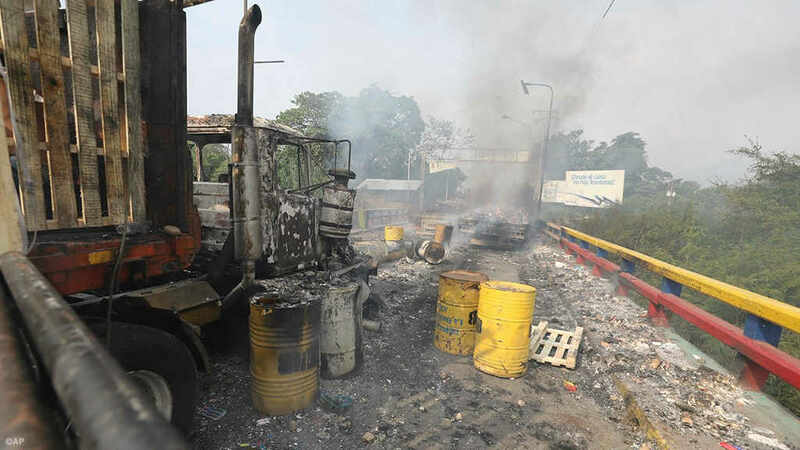 Trucks carrying aid and supplies were blocked, but two trucks at Brazilian border crossed into Venezuela without incident, according to Brazil authorities. 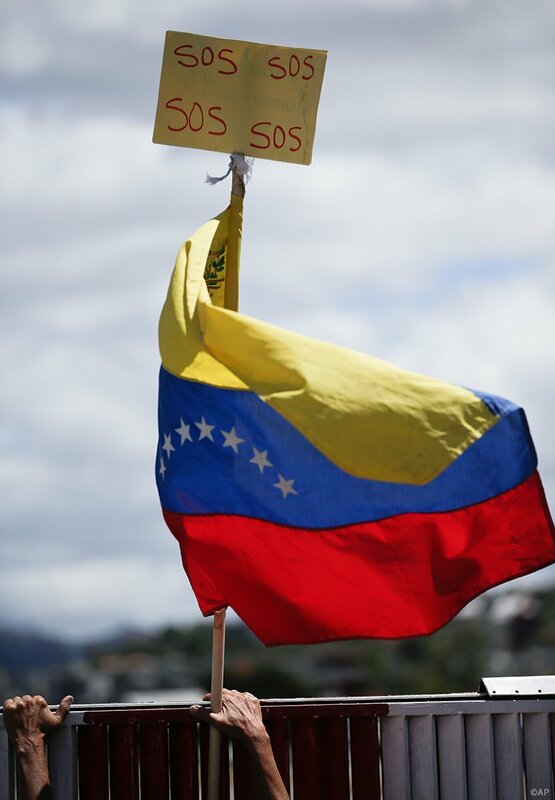 Venezuela has been mired in a socio-political crisis since January 23, when the leader of the legislature Juan Guaido declared himself ‘interim president’, challenging Maduro’s legitimacy as president for a second term. 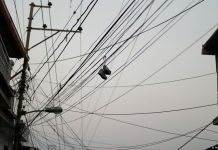 The United States, Canada, the Lima Group and many other countries in Latin America and Europe support Guaido, while Russia and China, among others, continue their support for Maduro. 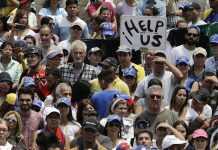 For the time being, a defiant Maduro continues with the backing of the military and continues to make claims that the opposition is being propped by the U.S. in an attempt to overthrow him.